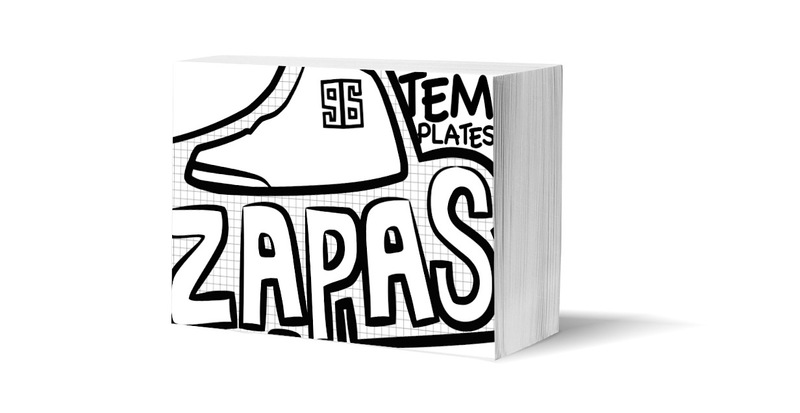 Al Rodriguez from Mis Zapas introduces his second book, Mis Zapas: Templates, which allows you to customize 560 pages of basketball sneakers from 1923 to 2013. Our friend Al Rodriguez, creator of MisZapas.net and Mis Zapas: The Book, has just informed us that his second book is on the way. Mis Zapas: Templates adds even more basketball sneakers than the original book, all in template form allowing you to design your own color combinations to 560 pages of basketball shoes from 1923 to 2013. Whether you choose to color in the shoes or not, the Mis Zapas: Templates provides a visual history of almost any basketball sneaker you can think of. Mis Zapas: Templates will release this summer, tentatively scheduled for June. Take a look at a few preview pages below, and let us know if you would be interested in purchasing the book upon its release.